Carry your monetary essentials with ease by using this wallet from Louis Philippe. The use of supreme quality leather lends it a refined finish. 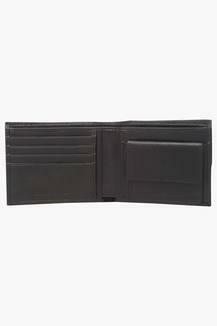 Moreover, it comes with a slip pocket, multiple card slots and a coin pocket that make it utilitarian, while the textured pattern lends it a trendy look. 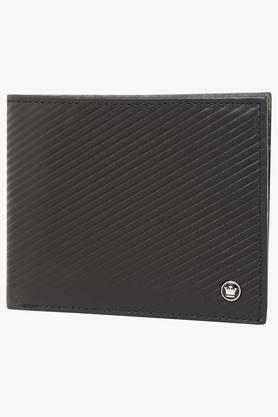 If you are on the lookout for a new wallet, then check out this one, which has been tailored to perfection. It comes in a single fold design that ensures convenience while carrying it.